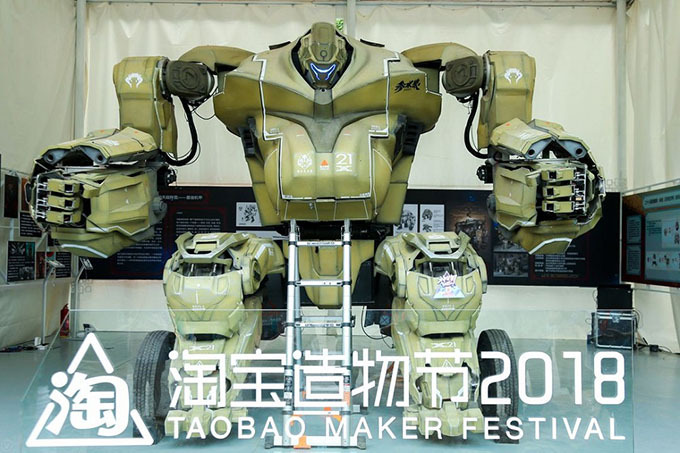 Taobao Maker Festival, an annual event showcasing the young generation’s creativity, attracted a huge number of visitors. 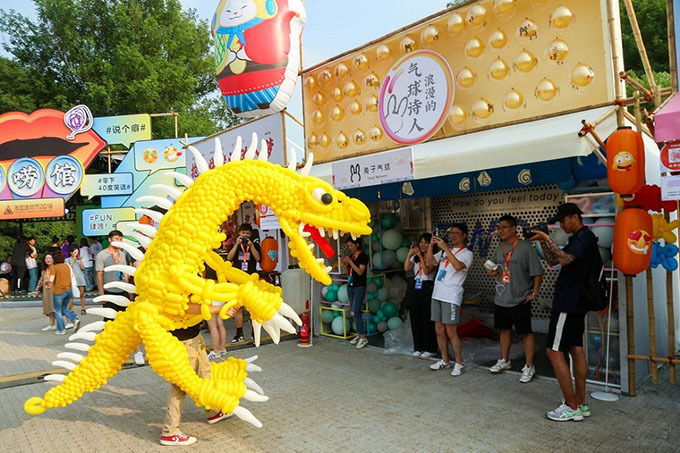 Taobao makers demonstrated their creativity to visitors of the event. 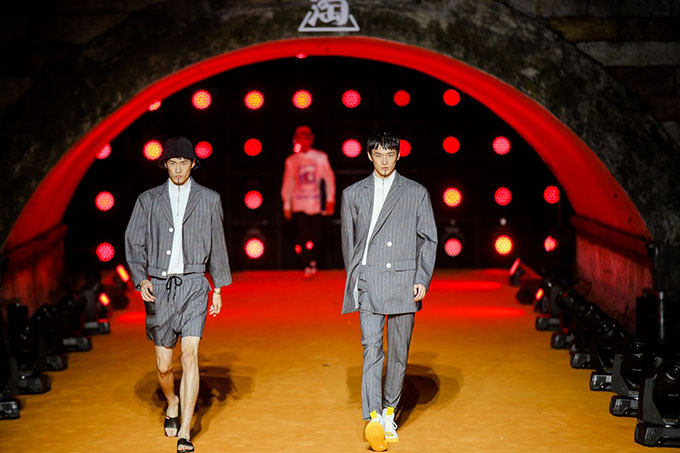 20 up-and-coming Chinese designers showcased their original works at a fashion show organized by the Taobao Maker Festival, which took place at the Snow-covered Bridge of the West Lake. The show was live-streamed on Youku and the Taobao app, offering a “see now, buy now” experience. 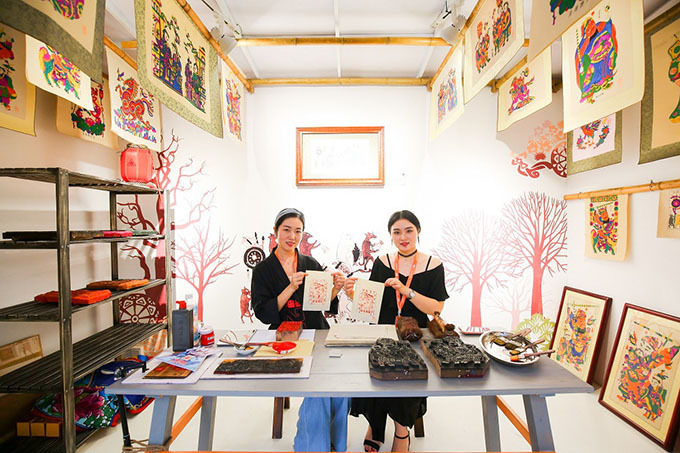 With this year being the 15th anniversary of Taobao, the Taobao Maker Festival featured a Taobao Museum to take visitors on a journey back in time. A night market which provided different kinds of gourmets was opened for the first time to extend the excitement into the evening. Hangzhou, China, September 14, 2018 - Taobao, China’s largest mobile commerce destination, developed by Alibaba Group, has opened the third Taobao Maker Festival in Hangzhou, China. 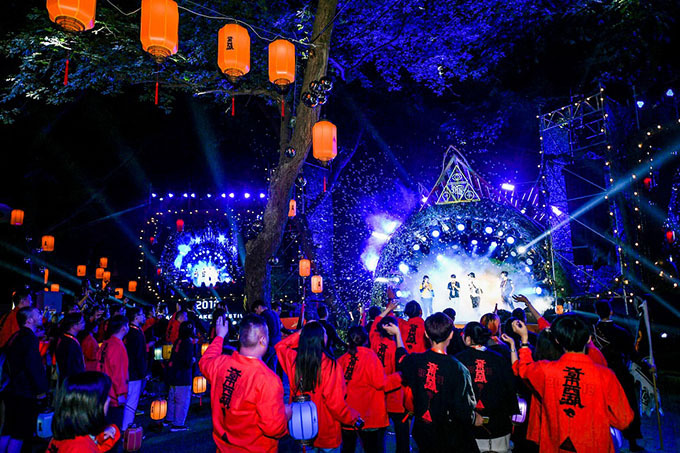 For the first time, the four-day festival is being held outdoors in the famous West Lake area. It is also the largest event in Taobao’s history, housing more than 200 exhibitors who embody the Taobao values of innovation, diversity and playfulness. 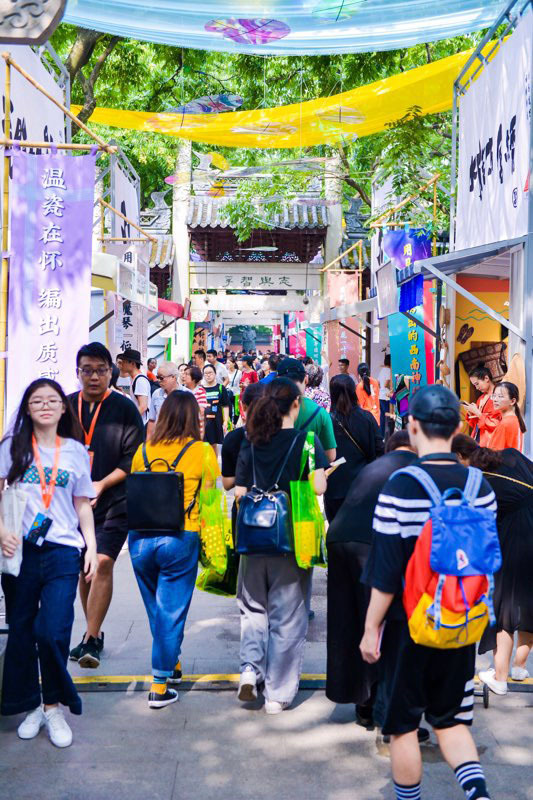 This year’s festival features the most creative young entrepreneurs in the themed zones of innovation, anime, intangible cultural legacy, vintage, pets and gourmet. Visitors are able to participate in interactive activities, forest-themed concerts and try out the latest technologies. A night market is opened for the first time to extend the excitement into the evening. According to the latest CBNData report, 77% of the independent designers on Taobao were aged 33 years or younger. 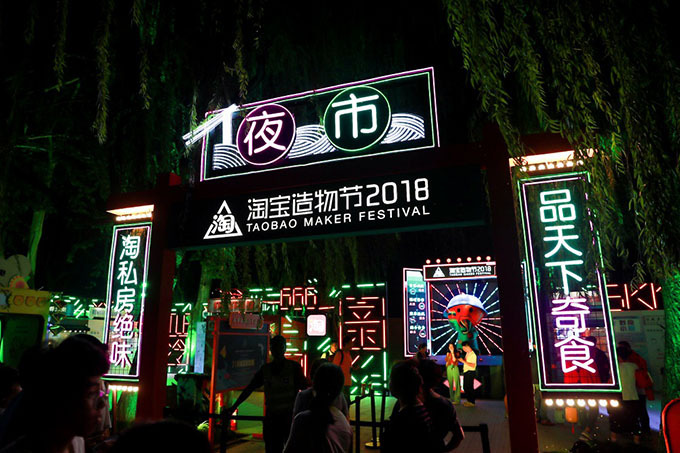 Taobao Maker Festival, which receives a huge number of visitors every year, is the perfect stage for these young creators to experiment and commercialize their original ideas. Growing with Taobao is the aspiration of Chinese consumers seeking better quality and stronger personality in the things they buy. In the fourth quarter of 2017 alone, ‘original design’ appeared 170 million times in keyword searches on Taobao. 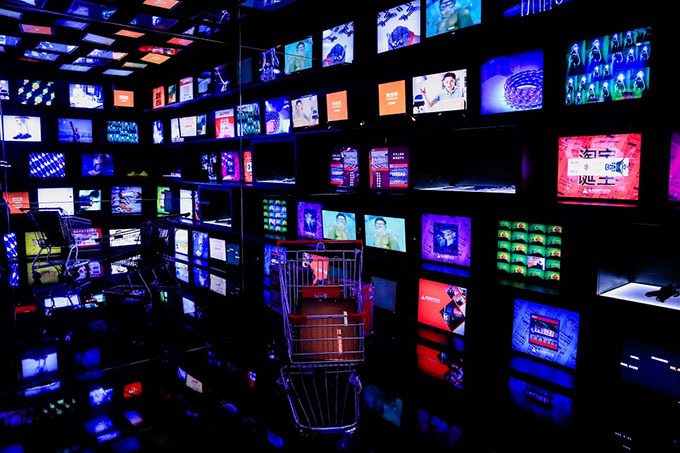 Providing China’s designers, creators and craftsmen with a platform to reach a wider audience, and the technology and consumer insights for them to reach their precise target customers has increasingly become Taobao’s mission. 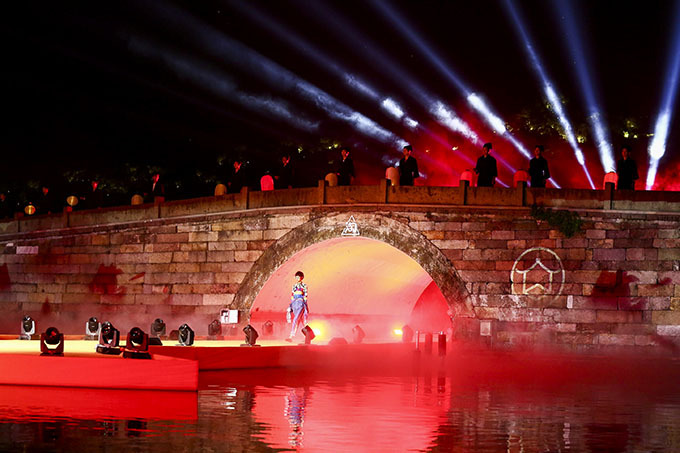 A feature event of this year’s Festival, Taobao invited 20 top designers in China to show their original works at the first-of-its-kind Fashion Show on West Lake’s Snow-covered Bridge in the evening of September 13. The show was live-streamed on mobile Taobao App and Youku, and audience members could buy what they saw on the show instantly. Over the past 15 years, Taobao has grown side-by-side with the phenomenal rise of China’s economy, becoming the country’s largest platform for entrepreneurial innovation. To mark its 15 years of development, a Taobao Museum is set up during the festival to take visitors on a journey back in time. Launched in 2003, Taobao Marketplace (www.taobao.com) is a social commerce platform that allows consumers to enjoy an engaging, personalized shopping experience, optimized by big-data analytics. Through highly relevant and engaging content, as well as real-time updates from merchants, consumers can learn about products and new trends at the same time as interacting with each other and their favorite merchants and brands. Merchants on Taobao Marketplace are primarily individuals and small businesses. According to Analysys, Taobao Marketplace was China’s largest mobile commerce destination in terms of gross merchandise value in 2017. Taobao Marketplace is a business of Alibaba Group.